Lignite fired power station in Romania fits FGD with Wet Booster Fans and PennguardTM lined concrete chimneys for maximum efficiency. 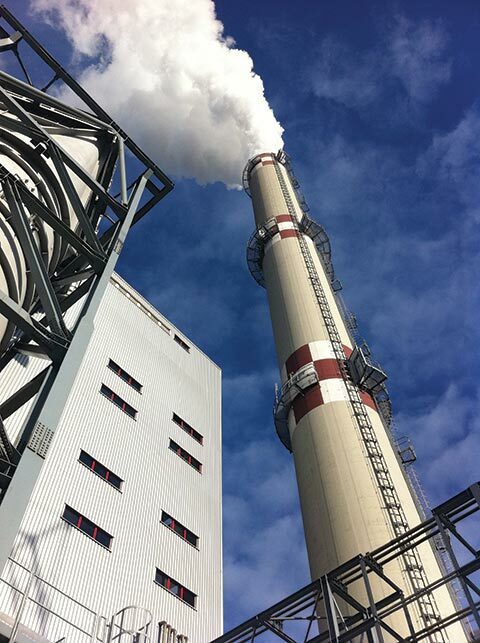 The Rovinari lignite fired power station near Targu Jiu, Romania has four, 330 MW units. The four units were constructed between 1976 and 1979 and are considered to be the most efficient, low cost electricity generators in the country. The lignite used by the Rovinari power station is locally mined and has a sulfur content between 0,5 and 1,35 %. Romania has joined the European Union and consequently, the Rovinari station will have to reduce its sulfur emissions to the EU standard. The owner of Rovinari power station and his consultants, Swedpower, decided that their selection of Flue Gas Desulphurization (“FGD”) technology should be based not only on minimized construction cost, but equally on minimized operational cost.After considering numerous options, the owner of Rovinari power station placed an order with Alstom for the construction of two wet limestone FGD plants, with an option for two further FGD plants at a later stage. One significant decision for the project was to place the required booster fans downstream, rather than upstream of the FGD absorbers. Compared with booster fans placed in the hot, untreated flue gas, Wet Booster Fans operate with significantly reduced power consumption. The second important decision was to use the New Chimney Design for the new, 120 m high chimneys of each of the four units. The New Chimney Design is a PennguardTM lined concrete chimney that offers lower construction cost than more traditional chimneys that contain internal flues. 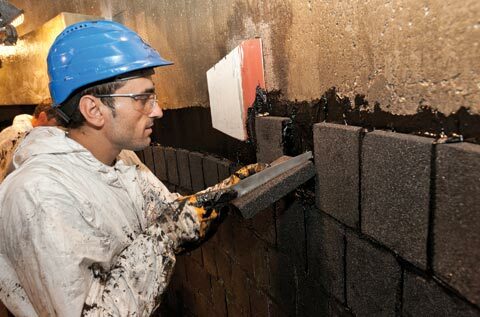 Additionally, a study by Alden Research Laboratory has shown that the combination of Wet Booster Fans and PennguardTM lined chimneys results in minimized condensate formation within the FGD wet stacks. The four, 330 MW units of Rovinari Power Station will require extra fan power to compensate for the pressure loss caused by the FGD plants. 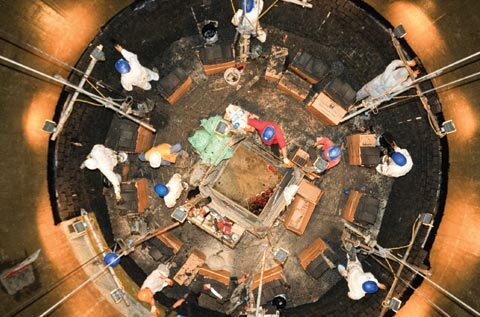 Historically, most FGD systems fitted to existing power stations have been equipped with booster fans placed upstream of the wet FGD absorber. As a result, the booster fan functions in warm, dry flue gas, which limits the risk of corrosion. 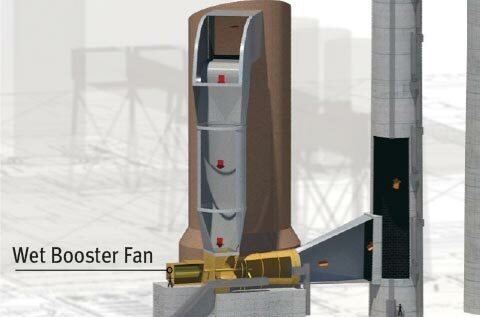 The Rovinari FGD project will use Wet Booster Fans, placed downstream of the wet FGD absorbers. The main reason is that the booster fans will operate more efficiently in the low temperature, dense flue gas and consequently, their energy use will be dramatically reduced. As a conservative estimate, the energy use of each booster fan, at nominal load and 2.000.000 Nm³/h gas volume, is reduced from 11,6 MW to 9,5 MW. It is important to note that the supplier of the Rovinari Wet Booster Fans, TLT-Turbo GmbH from Zweibrücken, Germany, has developed a special design to prepare the fans for operation in low temperature, acid condensing flue gas. This design involves the use of special, corrosion resistant construction materials as well as a water spray system that will prevent any buildup of gypsum on the fan blades. The Rovinari FGD systems will not include any reheat of the treated flue gas and consequently, the new 120 m high chimneys will be wet stacks. In order to control the risk of acid droplet carryover (“spitting”) from these wet stacks, Alden Research Laboratory performed a design study for the Rovinari outlet ducts and chimneys, which included a detailed review of the role of the Wet Booster Fans. One important side effect of the Wet Booster Fans is that they will slightly warm up the gas stream as a result of the pressure rise that occurs when the flue gas passes through the fan. 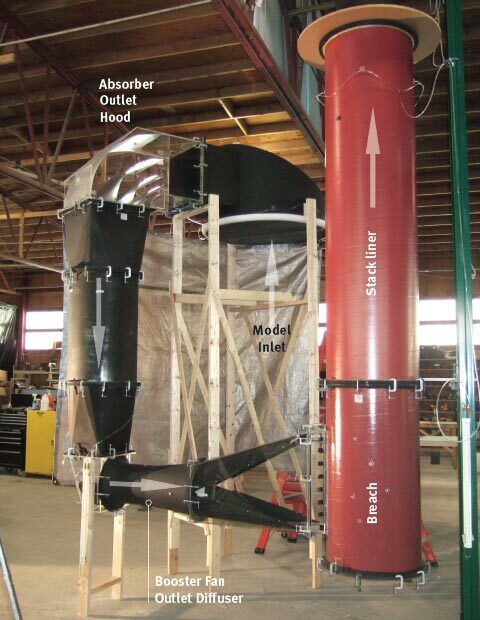 Taking into account the energy input from the fan, as well as the fact that the washing water for the fan blades will have to be evaporated, Alden has calculated that at nominal load, the fan will heat the gas flow by just under 2 °C. Alden has also found that as a result of the insulating effect of the PennguardTM lining, the temperature loss of the flue gas flowing through the chimney will be 1.6 °C, when assuming an ambient air temperature of minus 10 °C. As a result of the warming effect of the Wet Booster Fans and the limited temperature loss by the flue gas flowing through the PennguardTM lined chimneys, the condensate formation in the Rovinari wet stacks will be reduced to effectively zero under most operating conditions. Field measurements have shown that the temperature rise through the Wet Booster Fans exceeds the estimate made by Alden and even at ambient temperatures well below -10 °C, no ejection of acid droplets has been noted. 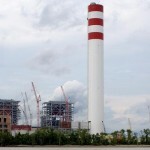 As the Rovinari Power Station fits FGD to its four, 330 MW units over a multi year period, each FGD plant is equipped with its own, 120 m high wet stack. The design concept of these wet stacks is the New Chimney Design, which is a concrete shell protected by a PennguardTM lining applied directly to its inside concrete surface. The New Chimney Design avoids the use of a separate internal flue, allowing for a slender structure. 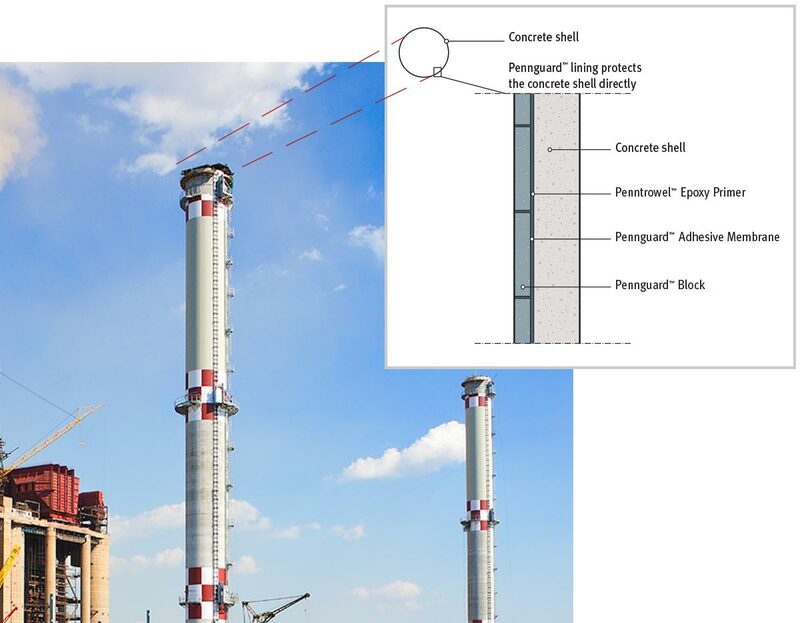 The proven performance of PennguardTM linings and the detailed on-site Quality Assurance provided by Hadek’s QA Inspectors will ensure that the Rovinari chimneys are protected from the effects of FGD wet stack operation for many years. Maintenance and repair to the PennguardTM linings are expected to be near zero. At the same time, the New Chimney Design offers excellent economics. 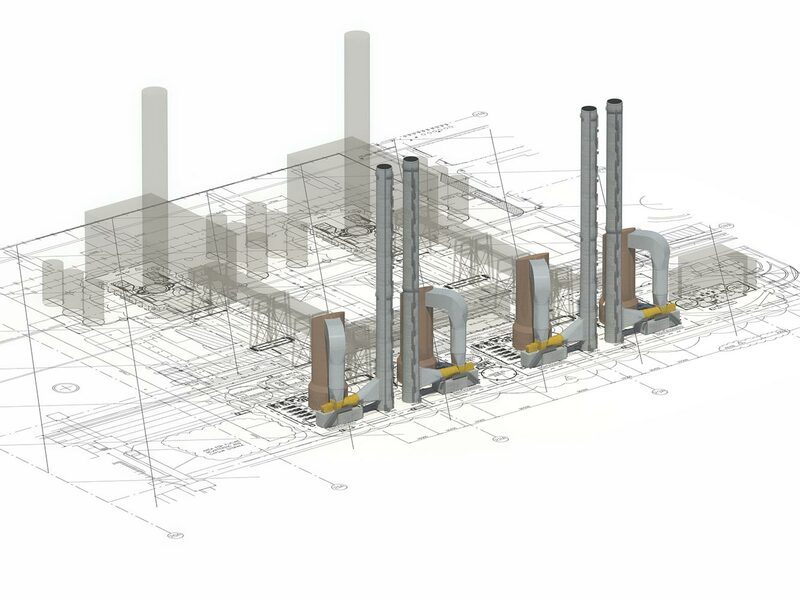 In the original design study for the New Chimney Design, this design concept was estimated to offer an overall construction cost savings of around 20 % compared to any other, similar sized chimney design containing a separate, internal flue. 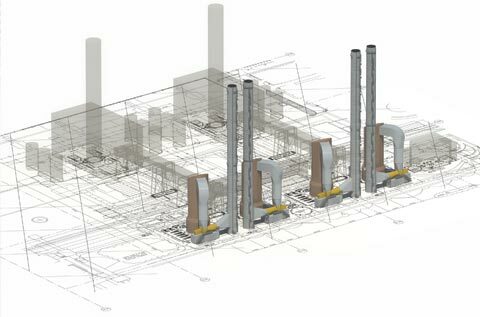 In later actual project studies, it was also established that two chimneys built in accordance with the New Chimney Design would cost less than a single, twin flue chimney designed for the same gas flows. 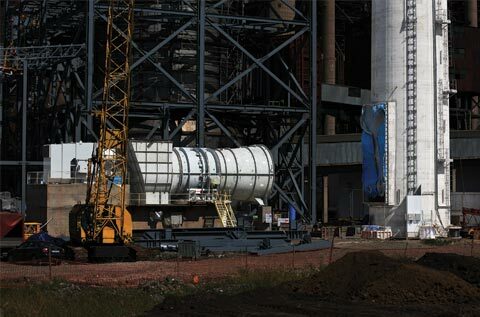 The first two FGD wet stacks for Rovinari Power Station were designed and constructed by Italian chimney builder Chimneys and Refractories International s.r.l. 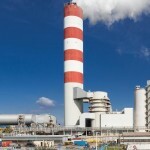 (CRInt) and Romanian company STIZO, with an overall construction period of 7 months for each chimney.